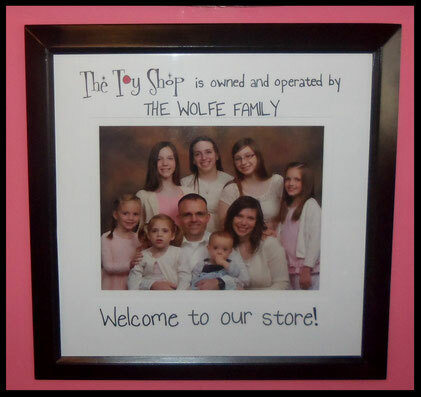 We are the Wolfes--a local family with six daughters and one son. So when we say we know toys, we're not kidding! Our oldest is 20, so we've been around toys for many years. We know the struggles parents face in trying to encourage creativity and imagination in their children, especially as the modern world provides more and more flashy alternatives to old-fashioned play-time. But as we've seen many toy trends come and go, we've grown increasingly convinced that there is always a place for great, traditional toys. We're proud to offer innovative and fun toys that follow traditional play patterns. Toys that parents would feel good buying their kids. And best of all, toys kids would LOVE to play with! Several of the toys we sell are identical to toys we purchased for our first child and passed down through all seven. So we can assure you of how well the brands held up to the test of time in both quality and sustained interest. We also hope to offer La Crosse a range of American made, recycled material, and organic toys, Please come by and visit us! We're always adding new toys, games, and puzzles to our store. And we're always happy to make new friends! 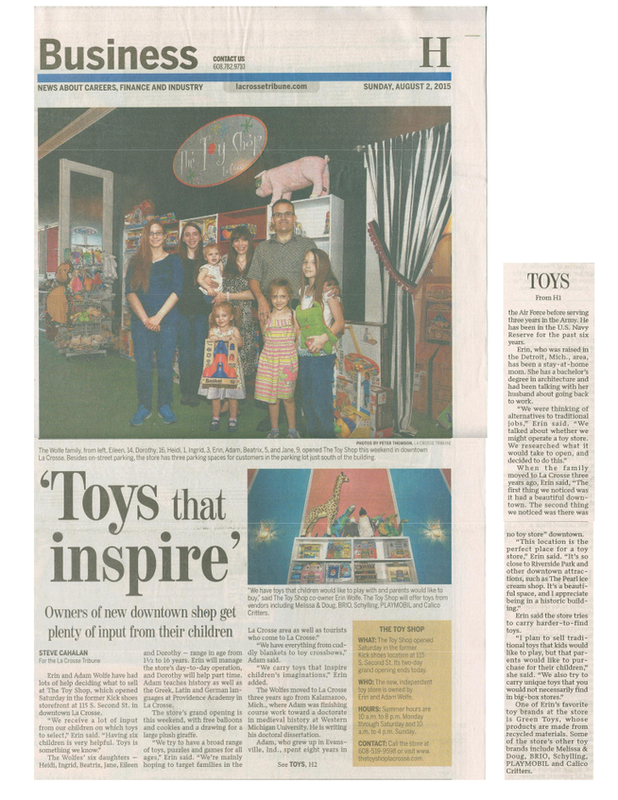 We were recently featured in the La Crosse Tribune!